Since Aug 25th, 2016, Banggood has started the warm-up of its 10th anniversary, and there are lots of wonderful bargains for you guys to snap-up. 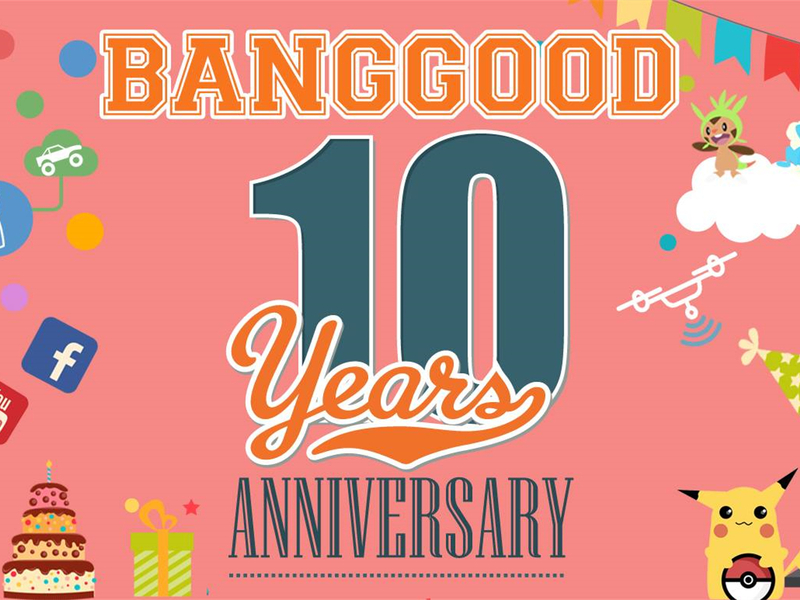 And to celebrate its 10th anniversary this year, Banggood is going to run a big promotion sale to satisfy all the customers who give Banggood lots of help. The warm-up has started on Aug 8th, 2016. And the promotion sale is going to last for a month long. Now let’s take a look at the detail information of this promotion sale. There are so many activities during the month, and there are many products that are hot-selling on Banggood.com, such as home and outdoor product, and fashion clothing, and RC toys. And I bet that you will find your loving product among all those pages. And the warm-up is set as a countdown to the so-called “48 HOURS CRAZY SALE”, which is the most important of the Banggood anniversary. 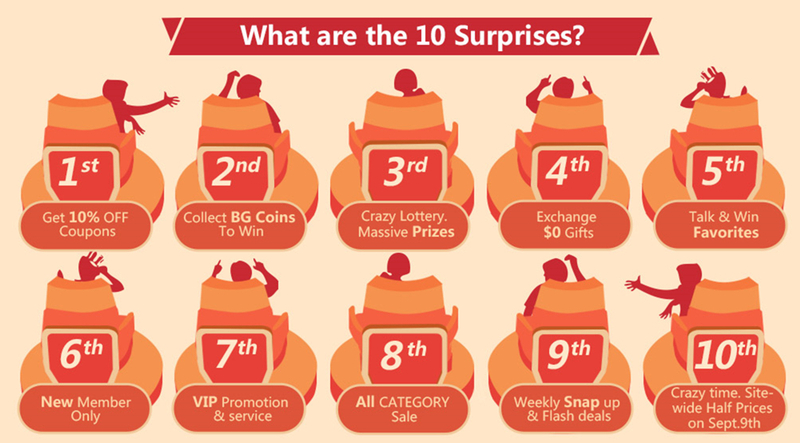 As the most important part of Banggood anniversary, the “48 HOURS CRAZY SALE” will start with 5 epic surprises at 10:00 AM UTC+8 Beijing Time Sept 8, 2016. In the “48 HOURS CRAZY SALE”, you are able to get your favorite products at the unbeatable prices. And the next 24-hour, which is on Sept 9th, 2016, is going to be surprising with 4 rounds of promotion. It’s going to surprise all of you. So, you should hesitate no more. Now Join Us! Banggood.com, a cross-border eCommerce platform, was established in 2006, and now has more than 2,000 staffs that are trying their best to provide the best products from China. We provide excellent products at reasonable prices and we run a lot of promotions. And there are so many great bargains that are sold on our website. For example, smartphones, laptops, RC drones, and fashion clothing are hot-selling on our website. There is no denying that our permanent goal is to provide customers the best Chinese products and make their life much better.